I'm back--but not for long. Believe it or not, we're still getting back on our feet after the whirlwind that was my family reunion. The main floor of the house is back to order, but do not, do NOT open any of the bedroom doors upstairs. To my shock and chagrin, when I slid our our ancient blue cooler from the crawlspace under the stairs and popped open the lid I was greeted with a horrible smell of rotting food and an assortment of fuzz-covered leftover containers. 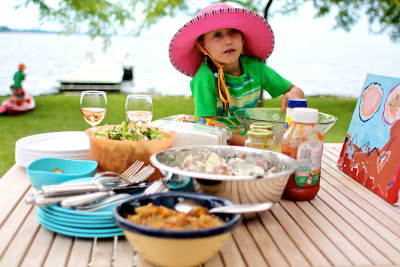 It didn't take but a second to realize that this was the odds and ends from our family picnic nearly three weeks ago...! How it never got attended to is beyond me, but somehow it got emptied out of the car, ignored, and eventually shuffled under the stairs by someone who was probably just trying to be helpful. I refrained from photos. You're welcome. On Friday I asked the question "Why Do You Can?" and received some highly poetic answers. I loved reading every one. Saturday brought Canning 101: The Basics. All canning novices, start here. 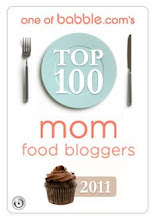 We jumped in with both feet on Monday to talk about Home Canned Tomatoes, and today's post is all about Fruit Butters. Still to come...pickles, peaches, cherries, jam, and an introduction to lacto-fermenting! I know, I'm excited, too! PS. 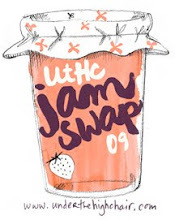 Many of you have been asking if there is going to be another UtHC Virtual Jam Swap this fall...Although last year's event was a wonderful success, I've made the very difficult decision to not host a virtual swap this year. There are many reasons. Thanks for understanding. I totally believe you when you say you're still getting back on your feet. No matter how much fun, having company is exhausting. I love that I'm not the only one who "forgets" from time to time. What an icky surprise... I'm curious though... how much did you clean and how much did you just toss? I have found many fuzzy hidden containers left in coolers. Ick! Too bad about the jam swap but I'll definitely send you a link to the jam I made this summer-it is awesome. Probably won't post it until early fall though. Love the Canning Session going on at Simple Bites! PS-made the Broccoli Slaw tonight for my birthday grill out. It was great! I hope that you have plenty of good memories from the family reunion. Those sorts of events can be exhausting, but so fulfilling. Now, it's time that I conquered my canning fear. WW: Cake Wreck or Cake Love?